I love nasturtium flowers and I eat them every spring: sprinkled in salads and wrapped up in rice paper rolls and even frozen in popsicles. I love eating the flowers, but it never really occurred to me to eat the leaves! In past years I’ve always foraged for my nasturtiums, because they grow with great gusto around these parts, filling hillsides and creek sides and side yards and pretty much anywhere else they can think to creep. But this year, sort of on a whim, I actually grew my own. They’re early bloomers and I appreciate a colorful entry into spring. Plus we put up that big beautiful lattice last summer, and it was just begging for some creepy crawly climbing annuals. 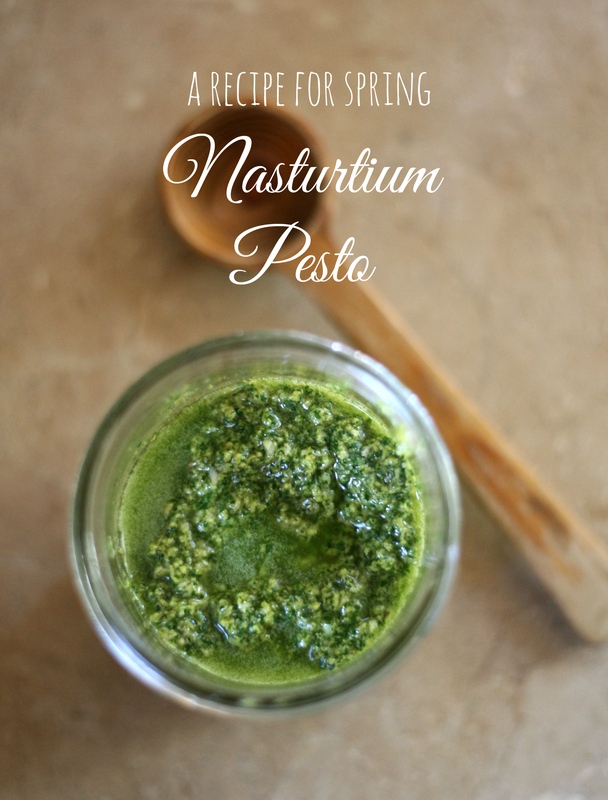 So anyway, when I heard “nasturtium pesto” my eyes just it up and I knew I had to veganize it! This Alaskan dwarf variety has gorgeous variegated leaves, and stays quite small. Perfect for all you small-space gardeners out there. 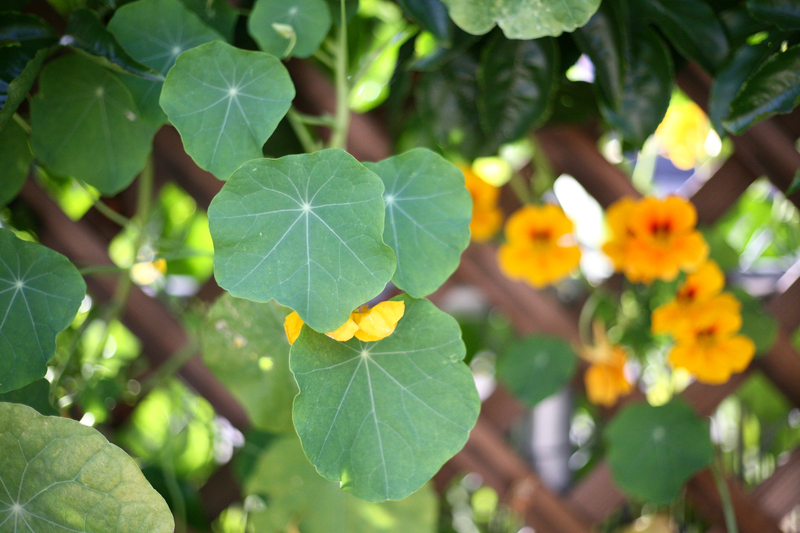 When selecting nasturtium leaves for eating, choose the smallest, most tender ones you can find. 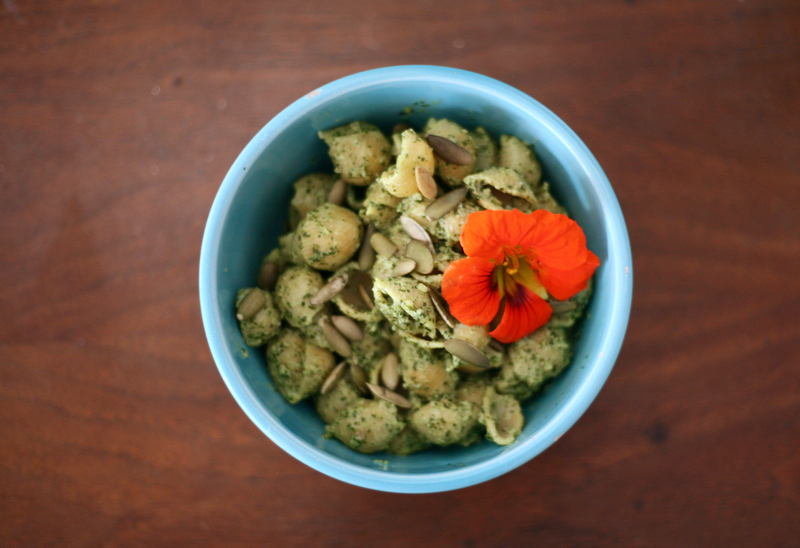 Nasturtium is quite peppery, like arugula, so taking only the youngest shoots will ensure you don’t get a pesto that tastes “mustardy” or bitter. 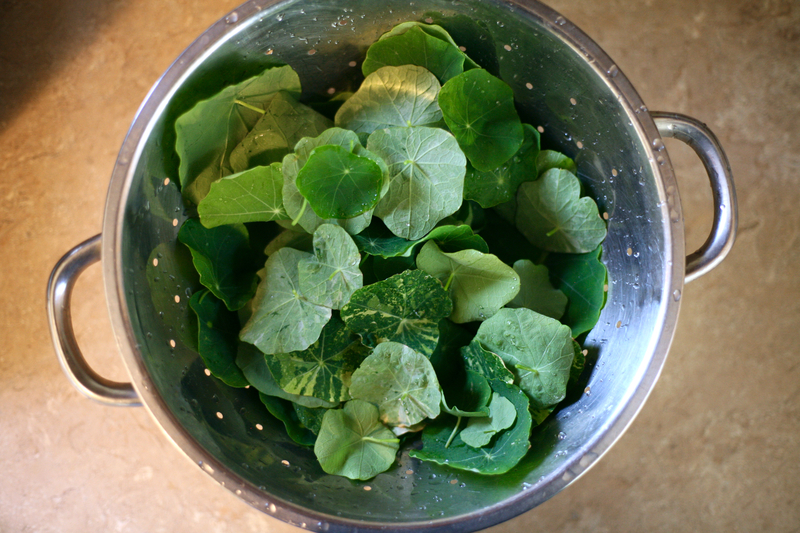 If you’re foraging your nasturtium (it’s easy to do so you might as well), always make sure you wash it thoroughly before preparing — especially if it’s growing near a road. Add all of the ingredients to a food processor or blender. Process the ingredients, stopping every so often to scrape down the sides, until thoroughly combined. You want just a little bit of texture — not too clumpy, but not a paste either. When the pesto is done, transfer it from the food processor. You can store it in a glass jar in the fridge, where it will last about a week. 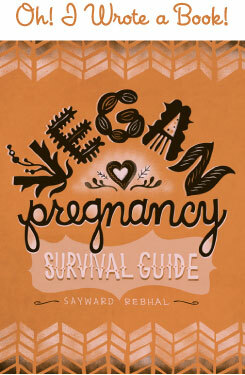 Or, you know, devour it immediately. This sounds so delicious and fresh! 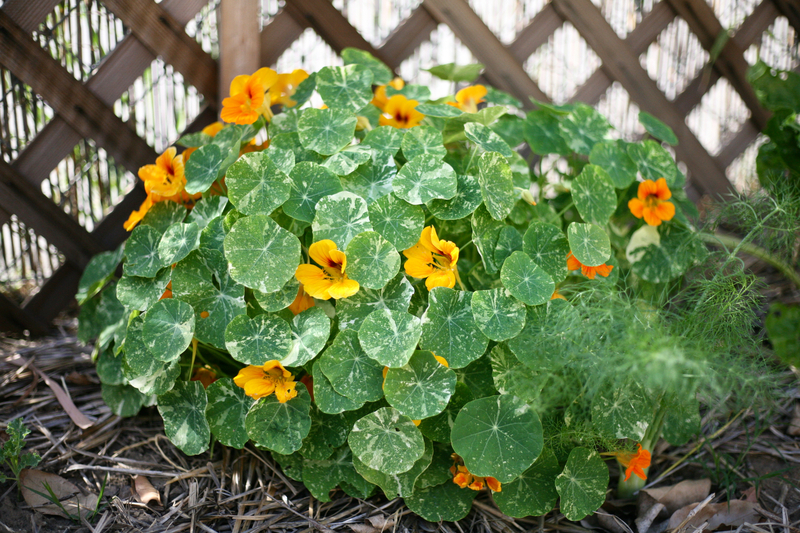 I will have to try to find/forage some nasturtium, though it sounds as if the variety you pictured would grow well for me in Alaska!